What would a meal be without a great loaf of bread. 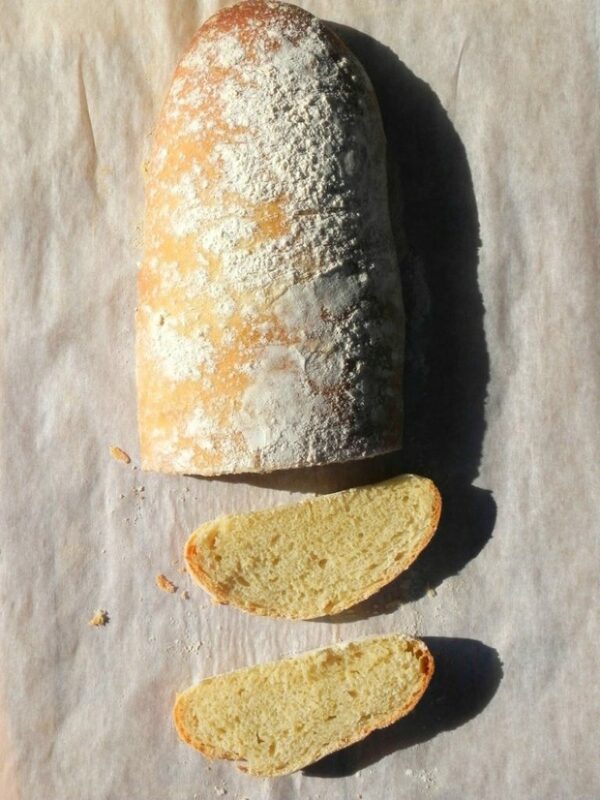 A simple loaf like a filone is usually what you will find at my family’s house. 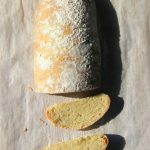 A filone is a typical yeast bread that originated in Calabria and Tuscany and you will encounter mostly anywhere in Italy. It is so wonderful to sit down at a table at my in-laws house and hear the banter between my in-laws; even my sister-in-law is usually involved in the bread discussion. There isn’t a meal, not matter how simple, that will not have bread. The bread is usually the Calabrian bread they make or somebody made for them. But on most days, you will find a lovely filone. The banter usually starts like this (in Italian), “Where’s the bread?” My father-in-law will respond, “I got the bread. It’s over there on the corner of the table.” My mother-in-law will usually not be satisfied, as something is missing from the bread set out for the big lunch, “That wasn’t the bread that we were going to have for lunch. Go get the fresh bread! That’s the bread from yesterday.” But you see, nothing is wasted; not even this slightly older bread. My mother-in-law will set it aside until she’s ready to prep it and grind into her breadcrumbs. Here is just some of the bread you will normally be served with at my in-laws. You could say that the bread is one of the most important part of the meal. 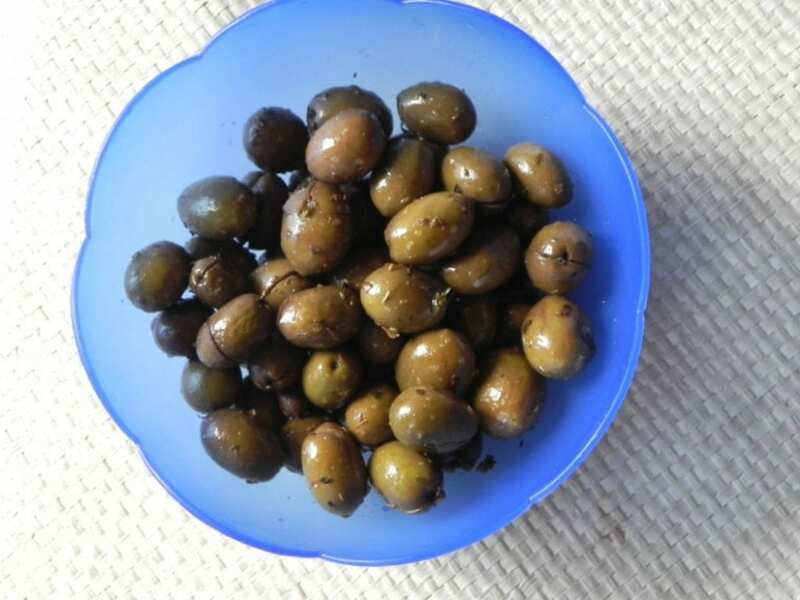 Or maybe it’s the olives…or the cheese! Filone, pronounced “fill-oh-nee,” means line in Italian. The bread is actually like a long line, sort of like a baguette, but not quite as long as one. A filone is the perfect everyday bread and the perfect bread to do the scarpetta. Do you know what doing the scarpetta is? It is taking a piece of bread and swirling it around your dish to get every last bit of sauce. I’m proud to say that my son is quite the scarpetta expert! some notes on this recipe: I found this recipe in an older issue of Saveur. The recipe is very long, but the steps to put it together is not difficult at all. I never achieved the crispy crust as the bread photographed in the magazine, but more of a soft and light bread that was really wonderful. I like a more crusty bread, but the kids like a softer bread, so this bread is always a hit! 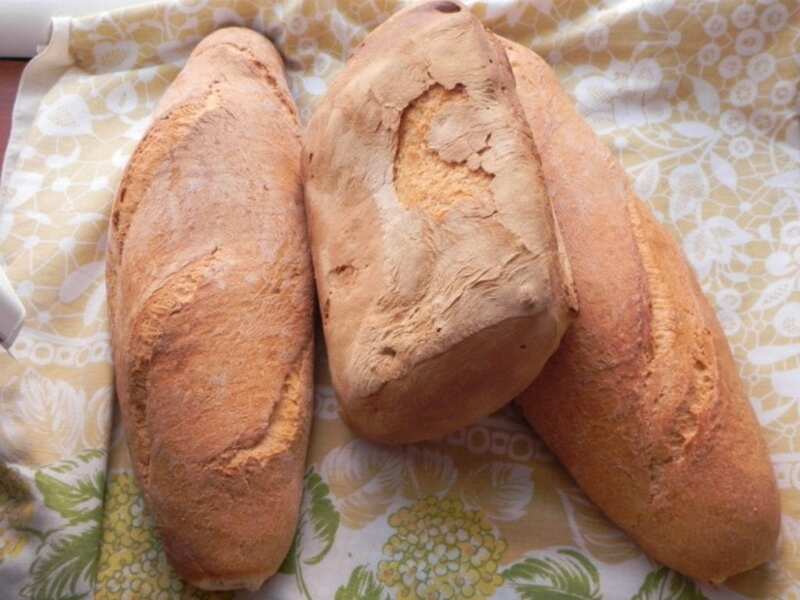 A filone is a typical yeast bread that originated in Calabria and Tuscany and you will encounter mostly anywhere in Italy. Mix 1/3 cup water and 1/2 teaspoon of yeast, let rest for 10 minutes. Add 2/3 cup flour and mix until smooth, about two minutes. This is the biga, or starter. 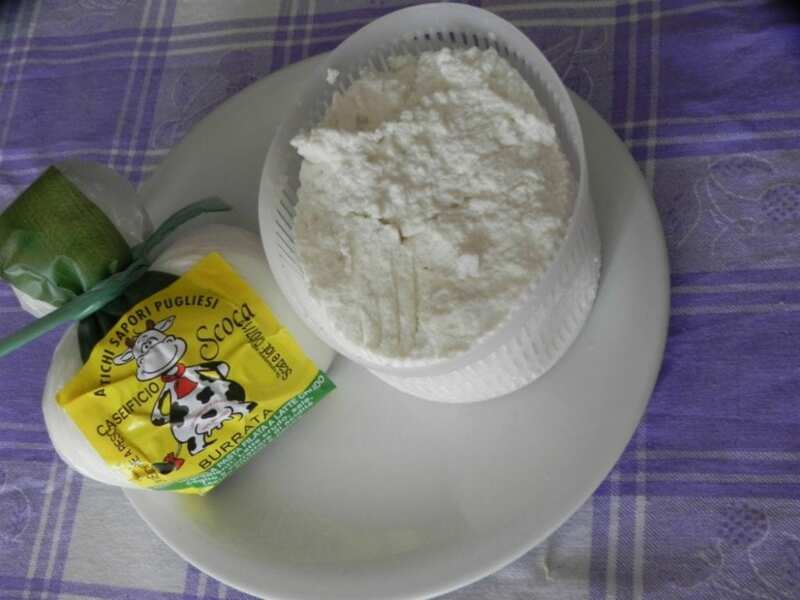 Put it in a bowl and let it sit in a cool oven for one hour, then transfer to refrigerator overnight. Take the biga out of the fridge and let it come to room temp – about 30 minutes. Add to bowl and add 1 1/3 cup water, 1 teaspoon yeast and stir until the biga starts to dissolve a bit. Add in the remaining 3 1/4 cups flour with oil and salt. Just mix until the flour is incorporated, let rest 20 minutes. This step apparently hydrates the flour. Knead the dough on your counter, adding just enough flour so it doesn’t stick to your hands or the counter. Knead for 10 minutes. Transfer the dough to a bowl with olive oil and let rise for two hours. 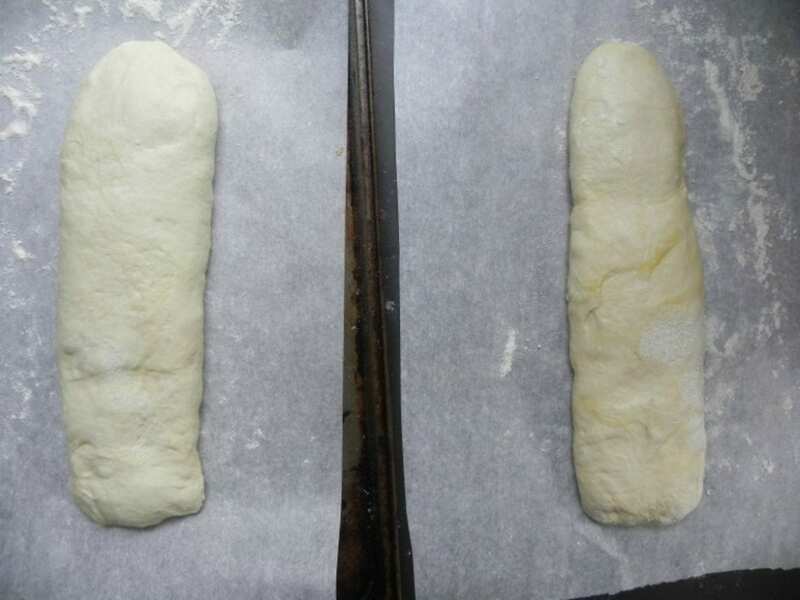 After two hours, divide the dough into two loaves. Let rest for another hour. Bake at 425 on a baking stone for 30-40 minutes, adding ice cubes to a cast iron skillet. Bake loaves until dark golden brown and crisp; let cool before serving.